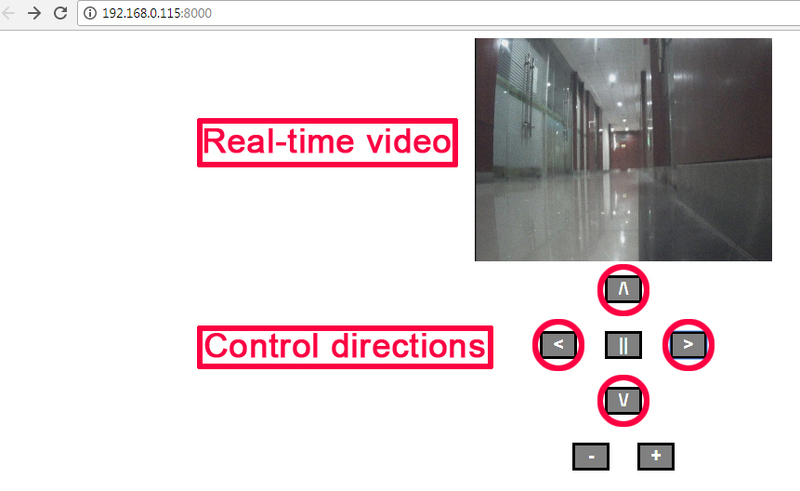 In this lesson, we will learn how to let the robot car has vision to see front environment and how to control the robot car through web browser or mobile APP. 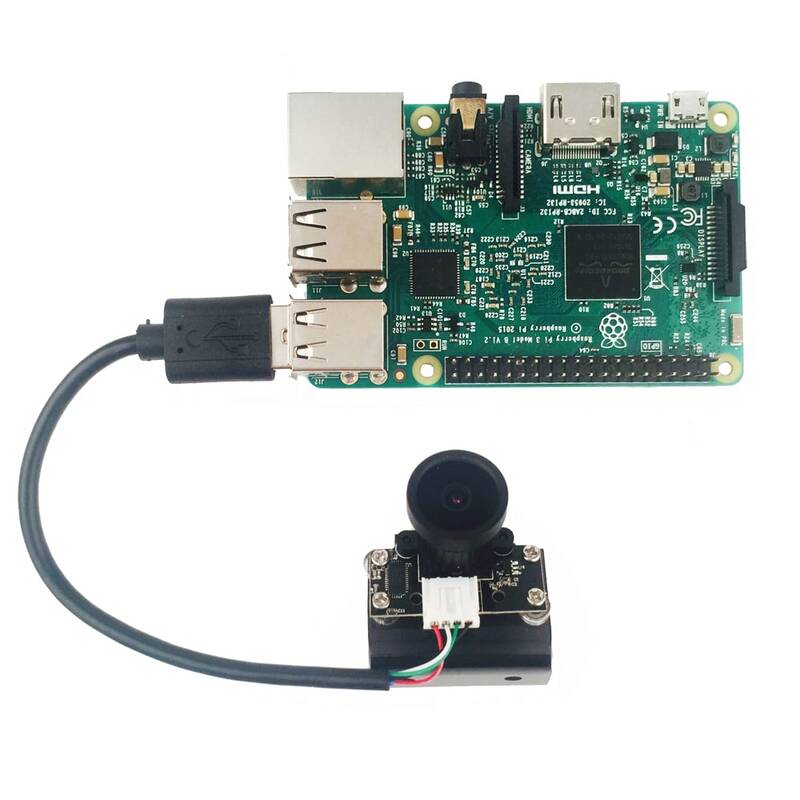 To complete this task, we need install a web server software called “mjpg-streamer” in Raspberry Pi, this software will catch video from Robot Car camera and send the video to a web page. 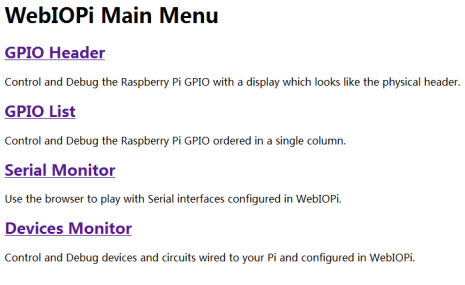 We also need to install another web server software called “WebIOPi” in Raspberry Pi. 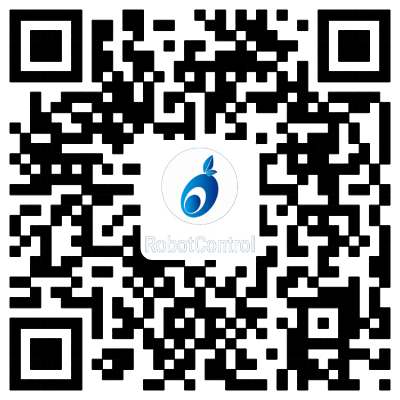 This software will allow user to use browser to remotely control Raspberry Pi GPIO input/output and therefore control the movement of our robot motor. 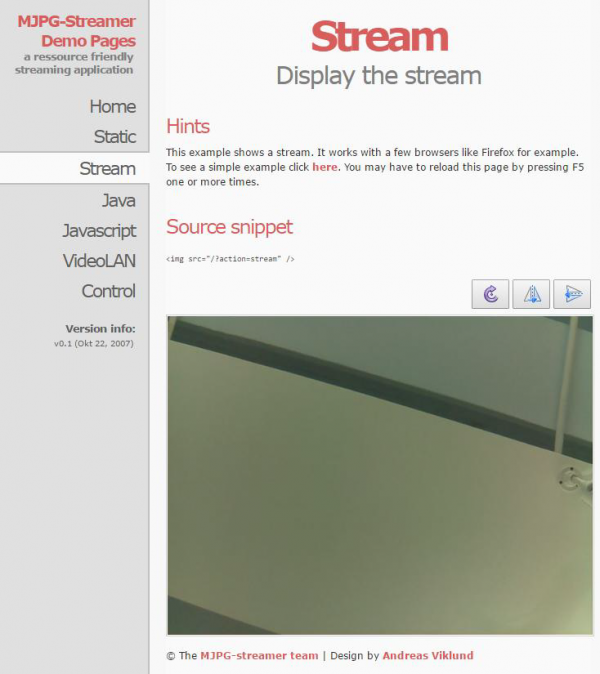 If you don’t install camera in lesson1, please install and connect camera as following pictures. 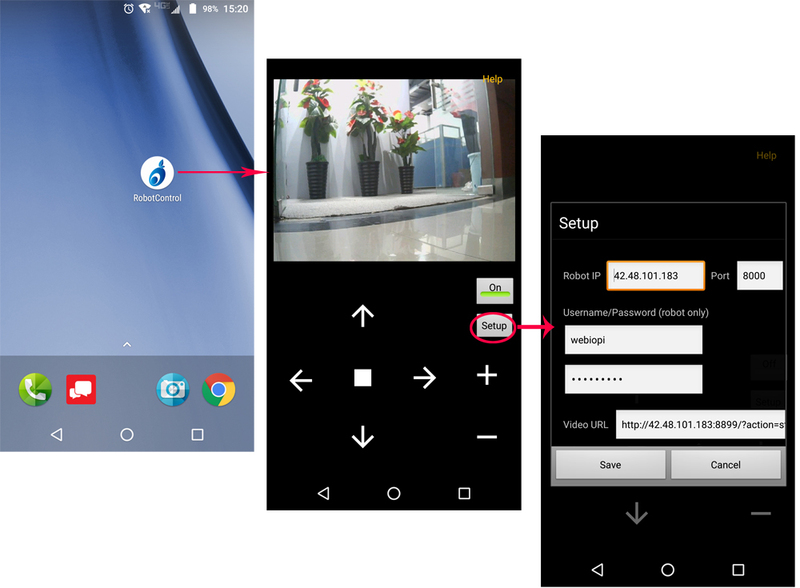 If you have already installed and connected these, please skip this step. 2. Please keep the Raspberry Pi on battery power when using SSH to send command to Raspberry Pi terminal remotely. If WebIOPi is installed successfully, you will see following message in terminal, otherwise you might need redo the download and installation. Use a browser in another computer (your computer/PAD/Phone in same LAN of your Pi) to visit your Pi’s IP address with port “8000” ( i.e http://192.168.0.115:8000, please replace 192.168.0.115 with your Pi’s local IP address), your browser will show WebIOPi login page. You need use default WebIOPi user name “webiopi” and default password “raspberry” to login to the server. Once you are logged into WebIOPi page, you will see WebIOPI Main Menu as following. If you can not see this page , you need to reinstall the WebIOPI software. Please press “Ctrl” + “C” then “Ctrl” + “Z” in your terminal to end WebIOPi running. 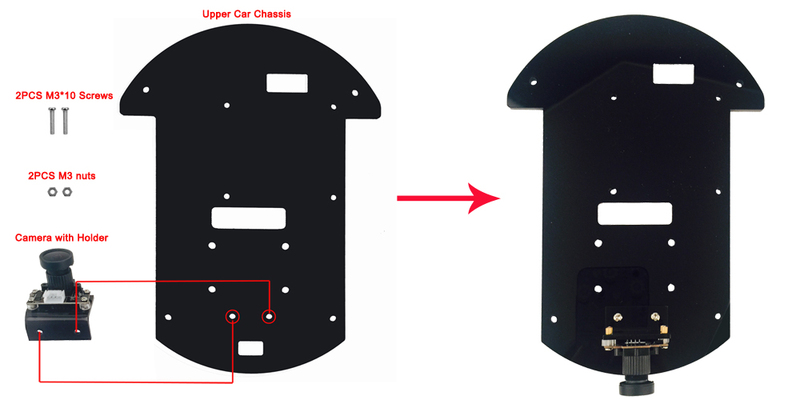 Now you can put your car on the ground and turn on the power-switch in battery box. We need to use SSH to control the car. 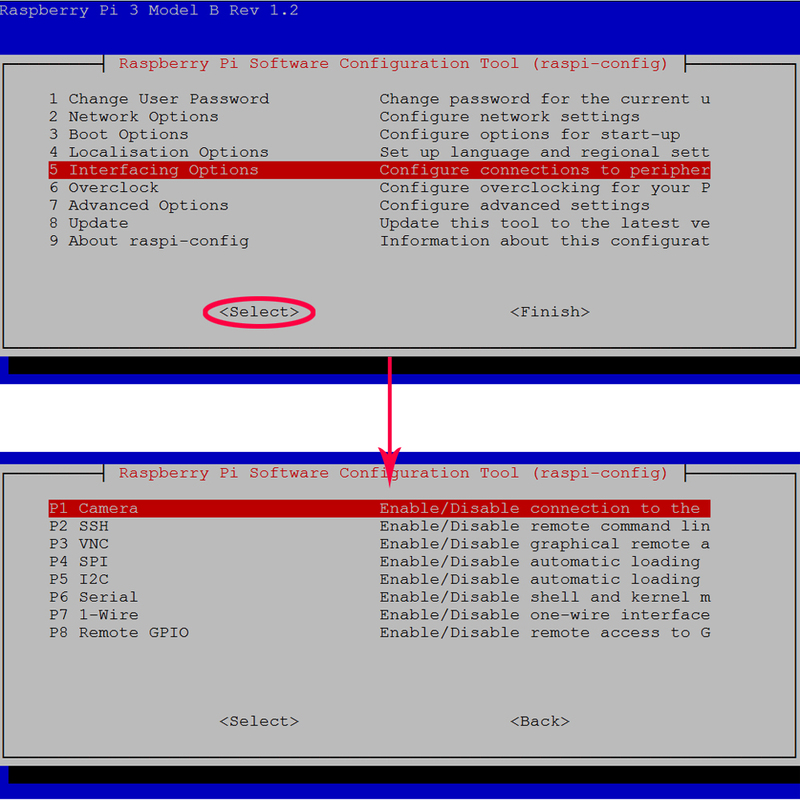 So you must enable SSH with raspi-config command before testing. If you are using windows, please use download Putty to ssh your Pi, if you are using MacBook, please directly use ssh command in terminal. Now you can use your browse to acess Raspberry IP with port 8000(i.e, if your Pi IP address is 192.168.0.115, please visit http://192.168.0.115:8000, you will see following picture in your browser, click arrow buttons, you can make car moving to your desired directions.